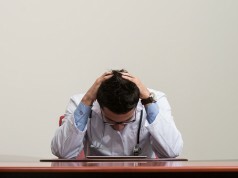 PROVIDER BURNOUT continues to get a lot of attention. There’s general agreement that burnout is highly prevalent, appears to be increasing and is associated with a litany of bad consequences. It’s telling, for example, that malpractice carriers are talking about wellbeing and resilience and offering CME courses on burnout. But despite all the worry, you hear surprisingly little about solutions. When you do, it’s often expert opinion rather than the results of carefully conducted clinical trials. This has always struck me as peculiar for a profession that prides itself on evidence-based answers to patient problems. When confronted with a clinical question, I generally see if someone has done the heavy lifting for me. 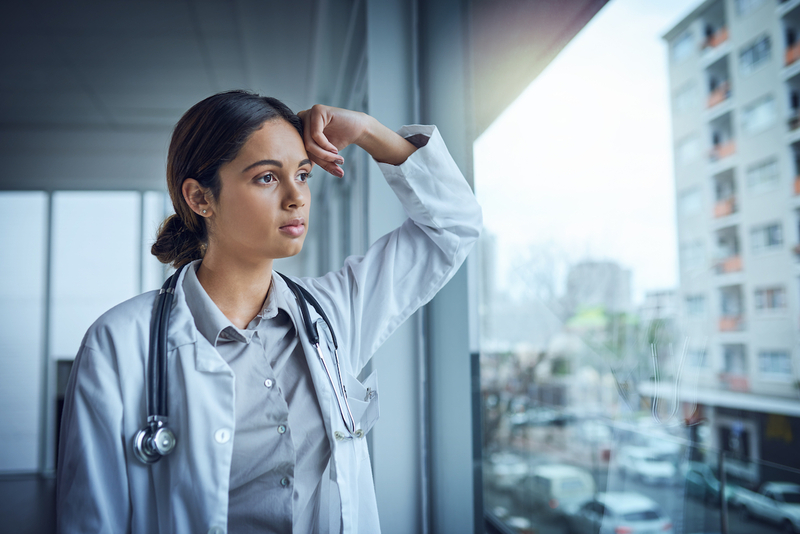 In the case of burnout, the Cochrane Collaboration rolled out a systematic review on “occupational stress in healthcare workers” way back in 2006. The authors updated it in 2015 by loading in a lot of additional trials. Given the stakes surrounding burnout, “business as usual” shouldn’t be an option. On face value, it’s pretty impressive, with 58 studies involving 7,188 participants. Trials chunked out into three broad categories: cognitive-behavioral interventions, mental and physical relaxation, and organizational changes. So far, so good. But the devil is always in the proverbial details, and there are many in this 155-page publication. Only six studies were conducted exclusively with physicians, and some trials were pretty old. Although I chide my students for “recency bias” (their belief that newer publications are always better), there are good reasons to tilt toward the present. One study, which was actually pretty decent, was published in 2006, when I was writing admission orders with a pen (blue or black ink only!) on multipart carbon forms. It’s unclear whether burnout then was caused by the same problems we’re grappling with now. I wanted a newish, high-quality randomized controlled trial, and I eventually landed on a study by Colin West, MD, PhD, and his colleagues at the Mayo Clinic. It was published in the April 2014 issue of JAMA Internal Medicine. 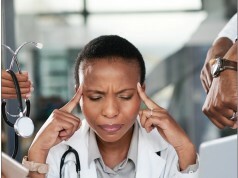 The investigation involved 74 internists randomized to either an intervention for burnout or an active control arm. Both groups were compared to 350 physicians who weren’t involved directly and served as passive controls. Participants in both arms were assessed using a variety of instruments, including the Maslach Burnout Inventory (MBI), the gold standard for measuring burnout. Researchers also assessed the passive controls using some of the same scales and measures. Burnout decreased in both the intervention and active control groups, and this effect persisted at one year. Although there was no statistical separation between the two groups, there was a big difference compared to passive controls, where burnout actually increased. For passive controls, the overall prevalence of burnout was about 33% vs. just 15% in the intervention arm. Ouch! But the study raises a host of questions. Can the intervention be generalized outside of Mayo or to other specialties? Does the benefit attenuate over time? (Research in the November-December 2006 issue of the American Journal of Health Behavior demonstrated that “boosters” or “refreshers” were needed to maintain the anti-burnout effect over four years). And what about cost? The average physician in the intervention arm attended about 12 of the 19 sessions. 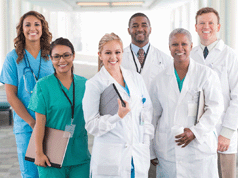 According to the Medical Group Management Association, the median salary for internal medicine hospitalists is about $254,000 per year. Twelve sessions at $140 per hour (assuming you work 1,820 hours per year) equals about $1,680 per hospitalist. Seems like peanuts. But scale that to 10 hospitalists, the average group size nationally, or 250 providers in one big multispecialty practice, and we’re talking some serious money. 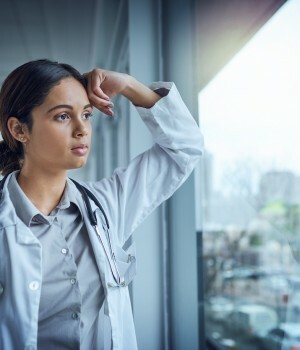 You could argue that burnout leads to higher turnover, lower HCAHPS scores, and more medical errors and malpractice liability. Unfortunately, these items are really hard to find in a balance sheet. We could wait for more definitive studies with hard financial outcomes, but I’m not holding my breath. I’d consider a Mayo-type intervention for an army of the willing, but not pay those doctors for their time so it would be completely off the books. The risk is that few people will sign up or that those who are the most burned out will pass on the opportunity. But given the stakes, I’m not sure that “business as usual” is an option. David A. Frenz, MD, is a private practice physician and health care consultant. He was previously vice president and executive medical director for North Memorial Health in Robbinsdale, Minn. You can learn more about him and his work at www.davidfrenz.com or LinkedIn. This article originally appeared in Today’s Hospitalist.